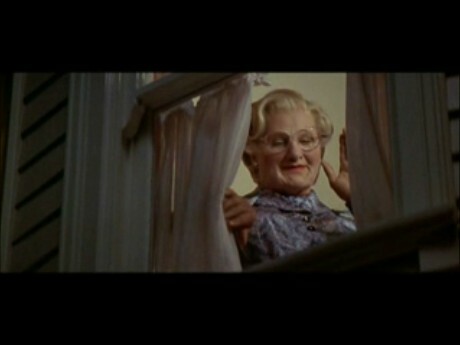 Mrs. Doubtfire smiling and waving to Stu. . Wallpaper and background images in the Mrs Doubtfire club tagged: photo mrs. doubtfire robin williams pierce brosnan mara wilson sally field families divorce.